Grows in hard packed soils in the city. Along trails, roads, sidewalks, etc. 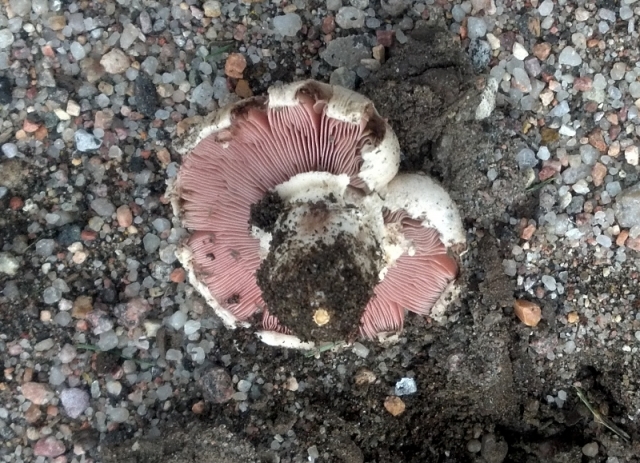 Agaricus bernardii is shorter, stalkier than other Agaricus and stains red when cut.